McPhillips Toyota is your trusted Winnipeg Toyota dealership to find a full selection of the latest new Toyota vehicles. There are many models to choose from, which is why we are here to help you navigate through the various Toyota cars and pickup trucks to find a vehicle that best suits your needs. Visit our Winnipeg Toyota Showroom to find specifications and pricing information for any of our new models, or browse through our New Vehicle Inventory to see our current selection of Toyota vehicles. One of the reasons we have become the choice of Winnipeg Toyota dealers is because we provide our customers with the best selection of new vehicles. Do you need lots of room and the flexibility to go on or off the road? 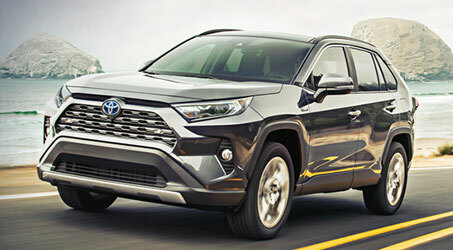 Then a Toyota SUV like the Toyota RAV4, 4Runner, or the Toyota Sequoia could be right for you. New Toyota SUVs have been engineered to provide excellent fuel economy which allows you to go further, while they retain the space and flexibility that you’re looking for in a large sport utility vehicle. Toyota vans like the 2019 Sienna give you room for the whole family. 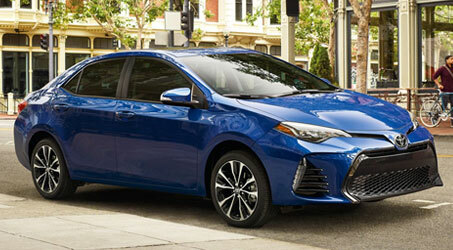 New Toyota cars and small crossovers including the Toyota Corolla, Camry & Camry Hybrid, Prius and Prius C, Yaris, and C-HR have all become known for their excellent fuel economy and great reliability. Toyota models have won awards from across the industry including models that have been chosen as “Top Safety Picks” by the Insurance Institute for Highway Safety. As a leader of Toyota dealers in Winnipeg, we provide you a full selection of new Toyota models. Looking for Toyota trucks? We are also a Toyota truck dealership with brand new full-size Toyota Tundras and mid-size Tacoma pickup trucks on the lot. We’re your best Winnipeg Toyota dealership to find your next new or used pickup. If you use your truck for business, then you know that both capability and fuel efficiency are important factors in choosing a work truck, which is why Toyota trucks are a proven choice. We are proud to be among the highest rated Winnipeg car dealerships. We provide sales and service to Winnipeg, Selkirk, Dryden, Interlake, Headingly/Perimeter and East St. Paul. Reliability and excellent fuel economy have always come together with the Toyota Corolla, and the 2019 model is no different. Not only does the Corolla offer a highway fuel economy of 6.6L/100km (or approximately 42 miles per gallon), but the Corolla S (Sport) gives you a whole new look that highlights the fun-to-drive attitude of the model. Learn more about the Corolla at our Winnipeg car dealership. The new 2019 Toyota Camry brings you a new generation of sport and luxury with an available torque of 267rpm with its 3.5L V6 engine while the available Camry hybrid provides you an astounding fuel economy of 4.9L/100km combined. Recently a Consumer Reports Top Pick for Family Sedan, the new Camry is more than just a great family vehicle. Look out for the Camry SE’s stylish Special Edition Package year. 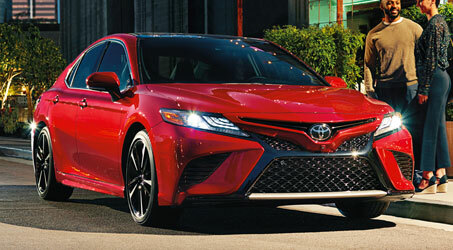 Learn more about the new Camry online. 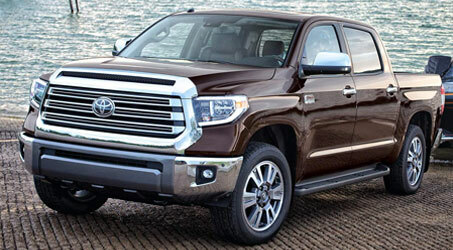 The Toyota Tundra is one tough truck, getting the bulk of its air-conditioned power from its 5.7L i-FORCE V8 engine. It’s the latest in Toyota’s line of reliable and long-lasting vehicles. With a 9400 pounds of maximum towing capacity and a selection of luxury trims and engines available, there is a Tundra for every job, and a job for every Tundra. Learn more about the Tundra at our Winnipeg truck dealership. The RAV4 is ready for adventure, available with a capable 4WD system and one of the best-handling 4-cylinder engines in its segment. Designed to give you the best combination of capability and economy, the RAV4 over-delivers in many of the key customer segments that other auto manufacturers seem to overlook or downplay. For evidence of this, look no further than the available 6-speaker and 576-watt JBL premium sound system, controlled through a 6.1″ touchscreen that also acts as your hub for all Bluetooth operations and many of the advanced electronic active safety features. Rev up your engine in the newest RAV4. Find out more the RAV4. Rugged and versatile, the 2019 Tacoma gives you the power you want with an available 2.7L engine and unbeatable fuel economy with a four-cylinder (because let’s face it, you won’t likely be spending all of your time hauling construction equipment). Features like available Bilstein shocks and an electronically-controlled locking rear differential give you great offroad capability, while Variable Valve Timing with Intelligence gives you great economy wherever you choose to go. 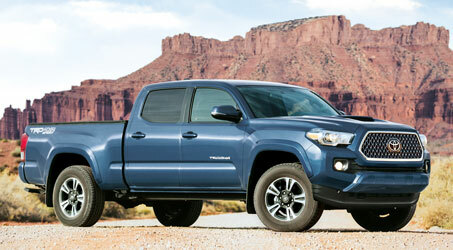 Learn more about the Tacoma. 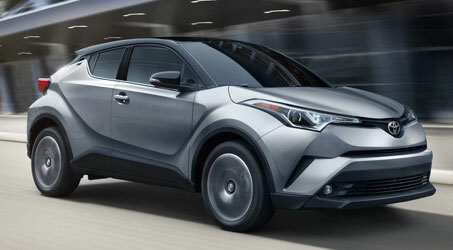 Introducing the 2019 Toyota CH-R in Winnipeg. This is a new addition to the Toyota lineup, and it’s a welcome one for Canadian families. The Toyota CH-R is perfect for both city and family life thanks to its maneuverability, versatility, and safety tech. And with the styling of the former Scion brand of vehicles, you’ll be turning heads with this one. For families looking at a vehicle with some of the functionality of a minivan, but who also like the aesthetic appeal of a sporty sedan, we’d like to introduce you to the 2019 Toyota CH-R Crossover SUV.